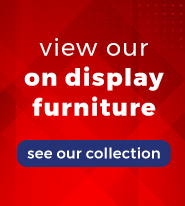 We are committed to your satisfaction first and foremost, and we want to help you have the best possible shopping experience. We recognize that sometimes an item may not meet your needs, was not what you had hoped for, or simply does not fit with your decor or space. If you are unsatisfied for any reason with your purchase, you can return or exchange it within 2 days of delivery. Returned items must be new and in unused Package. A few of our vendors may be excluded from our return policy. Any exceptions are noted on the page of the item. Special orders where custom fabrics or colors are selected are non-refundable. Bedding and linens are also non-refundable and can't be exchanged. To return items for an exchange or refund please contact us via email or phone for an RMA (Return Merchandise Authorization). We ship items from multiple warehouses across the United States. Therefore, it is very important to contact us so we can provide the correct return warehouse address. All returns are subject to round trip shipping charges. If your item was shipped "Free Shipping," we will charge our actual outbound shipping charges. All returns for any reason are subject to a 40% restocking fee. The restocking fee is only waived if there is an exchange for an item of equal value or greater, or a store credit. Round trip shipping charges will still apply. Returns are only accepted in their original boxes, and should be unassembled. Once an item has been assembled, it is no longer returnable but may still be exchanged. Special order products such as items where fabrics can be selected are non refundable.